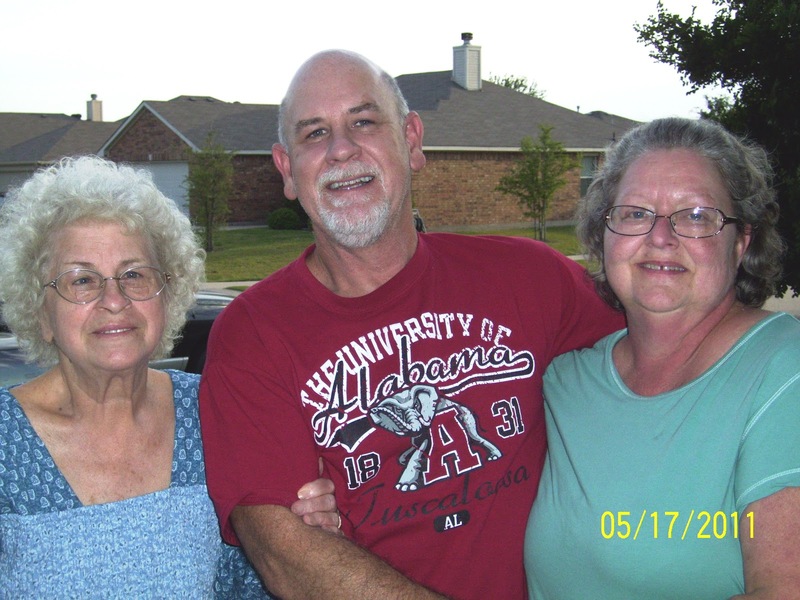 June LaFaye Williams Scholl, age 74, born in Mobile, AL and a long time resident of Bay Minette, AL died Tuesday, May 15, 2012 at her residence. She worked at Scott Paper Company for over 20 years. She was a standing member of Pine Grove Baptist Church in Bay Minette and Healing Waters Church. She was an amazing Christian woman who enjoyed attending church and spending time with her family. She is survived by her husband, Edward D. Scholl of Bay Minette, AL; her children, Gerry and Nelda Winchester of McKinney, TX and David Wixey of Bay Minette, AL; three sisters, Lavelle Franklin and Gloria Duck both of Bay Minette, AL and Pam Albert of Orlando, FL; her daughter-in-law, Joyce Wixey of Inverness, FL; five grandchildren, Josh Glover, Jason Wixey, Tonya Winchester, Tacha Winchester and Chastity Wixey and four great grandchildren, Sadie Glover, Jackson Glover, Rex Wixey and Skyler Wixey. She was preceded in death by her parents, Heggard Ray and Ann Estelle Williams; her daughter, Kathy Wixey; a sister, Mary Murphy and a grandson, Jody Glover. 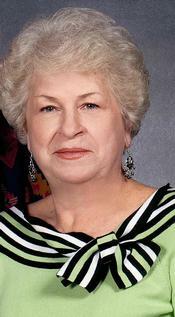 "Obituaries: June LaFaye Williams Scholl." Norris Funeral Home. 16 May 2012. Web. May 20 2012. http://norrisfuneralservice.com/fh/obituaries/obituary.cfm?o_id=1482108. "Nanny, you were such a great person and an absolute inspiration. I am so thankful for the extra time God gave us to know each other more intimately. I look forward to seeing you again and praising our God together. I love and miss you so much Nanny!" Her funeral was Friday, May 19th but I was not able to attend due to accommodation issues in hotels. I was in my van listening to the radio at the start time of her funeral and at that exact moment, the song "I Can Only Imagine" by MercyMe came on. It put things in perspective for me and made me realize how she is in the presence of our Almighty God, filled with joy, and completely free of pain. I instantly gained a sense of peace. Please continue to keep my family in your prayers. Thank you. "MercyMe - I Can Only Imagine." Youtube. 27 Sept 2010. Web. 20 May 2012. http://www.youtube.com/watch?v=N_lrrq_opng. If video does not work, it can be viewed at http://www.youtube.com/watch?v=N_lrrq_opng. Please keep my family in your prayers. My Nanny (Dad's Mom) was diagnosed with a rapid form of cancer in January. 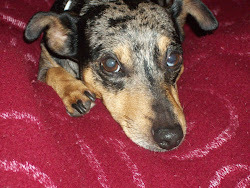 We got a call last week that she took a turn for the worse - was bedridden, not hardly eating or drinking, and sleeping all day. Also, she had been talking to her deceased daughter and grandson aloud who were "calling her home" telling them that she was not ready and still had something she needed to do. Immediately after one of these instances, she told a family member to call my Dad because it was time. So on Friday, my parents and other family members traveled to Alabama to go see her. I wasn't able to go because it is too hard for family to care for me in a hotel bed but Billy (my boyfriend) and I did call her Friday night and told her that we love her. Last night when speaking with my parents, they said my Nanny was in so much pain that she was moaning continuously and the morphine was not working. I immediately started crying and praying for her to be in peace and free of pain. At 1:00 am this morning, as my family held hands with my Nanny around her bed, they told her that they loved her and then sang "Jesus Loves Me" and she took her last breath. Her cancer finally won the fight. My Nanny was my last living grandparent. She was a great woman, friend, Mother, Grandmother, and Aunt. She was strong in her faith and a friend to everyone. She was a single mother to my Dad, Uncle, and Aunt and worked hard to support them. She inspired me to be the best I could be, to learn from my mistakes, to know the Lord, and be a loving person. I love her and miss her terribly already. I would like to ask if you could please keep my family in your prayers during this time. I thank you for Nanny and the wonderful life she led through you. I ask Holy Spirit that her loved ones find rest in your comfort, peace, and guidance. Father, please be with them and let them feel your presence. Carry and cradle them through this storm. Cover them Lord with your protection and speak to them through their affliction. May good come from this situation. May hearts be saved and lives be changed. May those affected learn to trust in you and rely on you and be there for each other. May the broken relationships in this family be healed. May hearts be opened to forgiveness and filled with love. May they all realize what the important things in life are and never lose sight of them. We don't always understand our circumstances but I pray God that all will lean on you for understanding and know that you have our best interest at heart. May you be the strength and courage that we all need. I pray for acceptance and comfort in knowing Nanny is with you - praising, dancing, smiling, and rejoicing. May we always remember her lively encouraging spirit. Thank you God for your constant presence, for blessing us with Nanny and for answering our prayers. In Jesus' name, Amen. Thank you all for your prayers and support. May God bless you. As I was spending time with God last night, I came across this scripture and it was exactly what I needed. Again, it is about persistence in praying. It can be difficult persistently asking anyone, especially God, for something. I know from personal experience. It makes your mind start wondering things that it shouldn't. This scripture proves that instead of feeling discouraged and defeated, we should fight the fight all the more. I hope this message blesses you and speaks to your heart. "Luke 18 (New Living Translation)." Bible Gateway. Web. 5 May 2012. http://www.biblegateway.com/passage/?search=luke%2018&version=NLT. *Another great version of this scripture can be found in The Message: http://www.biblegateway.com/passage/?search=luke%2018&version=MSG.